Our Hamilton Park location opened in July of 2016. It has been a wonderful experience for us so far! The community has been so warm and welcoming. We love seeing our neighbors, and try to participate in as many community events as possible. It’s great to see our families out at the community events too. The majority of our families live right here in Hamilton Park! In NJ we have 4 sister sites including us; Hoboken, Hamilton Park, Florham Park and Secaucus. 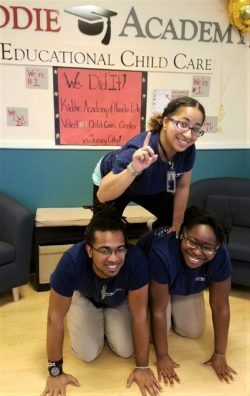 All of our centers are committed to providing exceptional experiences for our students and their families. 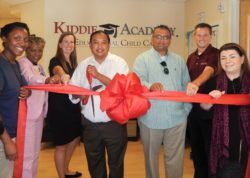 While Kiddie Academy of Hamilton Park may be a brand new facility, the company is grounded in roots stemming back 36 years, making us Downtown Jersey City’s newest childcare, with the oldest roots! We have 10 classrooms and also have an indoor gymnasium. We have a broad age range. We start with children as young as six weeks of age and go through Kindergarten for full time care. We also accommodate children up to the age of twelve. The older children come for winter breaks, spring breaks, before & after care and summer camp. To secure a space, families may enroll for any age group as far as two years in advance. We do not require an application. Families can simply call in and learn about availability free of charge. We strive to make our operations as convenient as possible for our families. Our ratios vary based on the specific age group. We follow all NJ state regulations. We have a commercial kitchen at our facility. 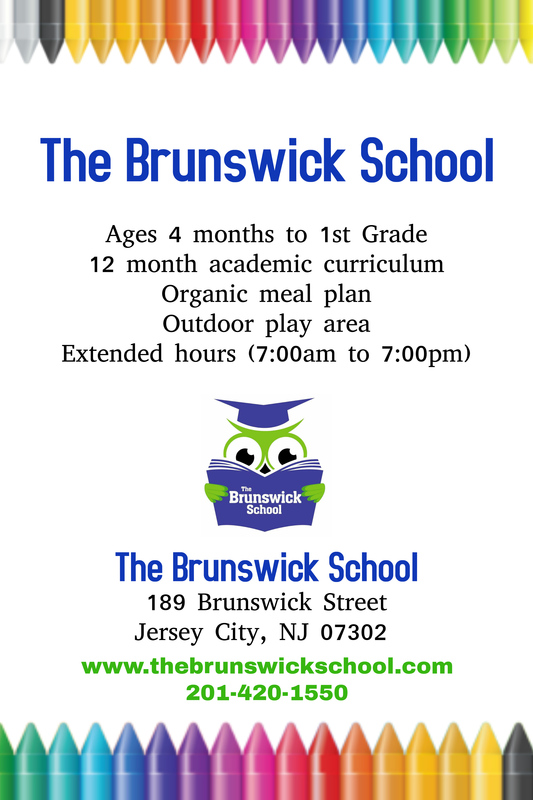 We provide, breakfast, lunch, afternoon snack & low fat and whole milk (certified organic). Meals are prepared fresh daily using all natural, organic ingredients. For our student’s safety, the school is nut free. In the event of a student allergy and/or preference, our catering company will create meals for the child that meet their dietary restrictions. Our operating hours are from 7am through 6.30pm. Families enjoy the benefit of being able to bring their children here anytime during those hours without incurring additional charges. This is a tremendous advantage for working families that can at times have unreliable schedules or face commuting delays. By offering unrestricted schedules throughout our operating hours, we have enabled our families to use our services without fear of unnecessary late fees and avoid commuting stress. Our curriculum called is called Life Essentials and is based on the 4 Pillars of Learning. Those pillars are: Technology, Developmentally Appropriate Curriculum, Character Education and Health & Fitness. The curriculum is written and developed at our corporate headquarters in Maryland and is overseen by our Curriculum Advisory Board. Board members, Dr.Rivkin, Dr. Wheeler, Dr. Rogowsky and Dr. Watson-Thompson work collaboratively to evaluate and refresh our curriculum. Refreshed curriculums are piloted for a year at a corporately owned school prior to being rolled out to our centers. This ensures that it is as finely tuned as possible by the time it comes to us. Each teacher is able to enhance the curriculum to meet the needs and interests of their current students. Having this flexibility enables us to provide an experience that is tailored to our current student body. 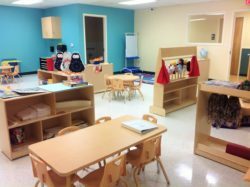 Additionally, children from 6 weeks – 2 years of age receive an individualized lesson plan that is unique to them. To ensure that we are continuing to develop plans that meet our students needs and support their learning, our faculty complete developmental checklists and compile student portfolios for each child. We offer live streaming webcams in all classrooms, so parents can log in and watch as their child learns and explores! Also included are electronic daily student reports so parents are always aware of what happened during their child’s day. We incorporate Spanish and American Sign Language into our curriculum. 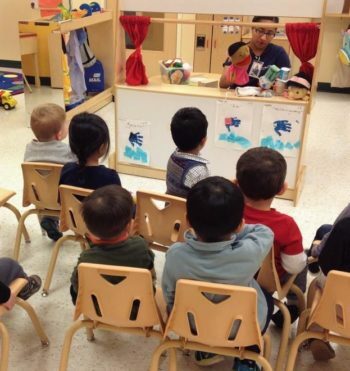 Additionally, we enhance our curriculum with a Music program called Kindermusik. Our older students also enjoy the benefits of having technology in their classrooms. 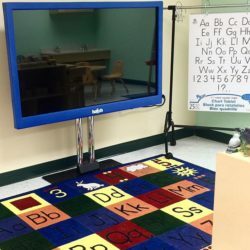 Whether it’s a smart table, computer, or touch screen smart board, we teach our students how to interact with technology in a purposeful way that will support their understanding and engagement with these tools. Absolutely! All existing students are automatically enrolled in our Summer Camp. Children from the community can also enroll in the camp program. 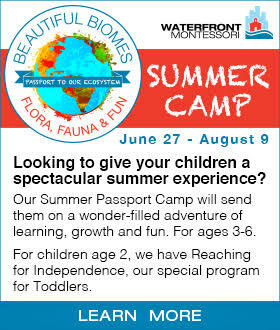 Summer camp is broken down by age group and is geared towards students 2 years through 12 years of age. 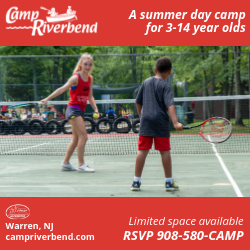 Campers will experience a summer like no other! 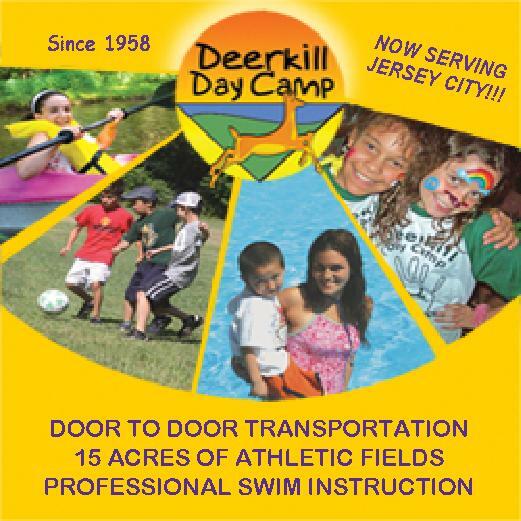 Campers enjoy field trips, camp activities and splash days! We are thrilled to launch our brand new Biological Sciences Experience this summer! Campers will have an opportunity to learn about, handle and interact with real specimens brought right to their classroom. Sharks, stingray, turtle, starfish, insects and reptiles are all of the list to be explored this summer at Kiddie Academy of Hamilton Park! Enrollment is open to the community right now and will end once all spots have been filled. We urge interested families to enroll as soon as possible as space is limited. We are thrilled to be part of the community and invite you in to learn more about the services we offer. 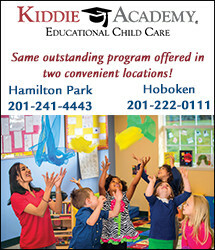 At Kiddie Academy of Hamilton Park, we are a community within a community! Many of our families have developed bonds and friendships through the school which has intern enhanced their experience living in Hamilton Park. Our multicultural school population offers students a richly diverse learning experience that exposes them to a world beyond downtown. Our State of the Art Facility has been designed to optimally meet the needs of our student body. Our learning environment, makes the school an idyllic place for students to learn and families to come together. Our award winning faculty is at the heart of everything we do! 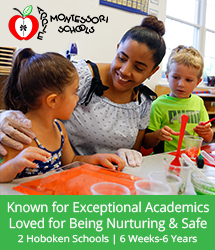 They are among the top talent of early childhood educators in our area. We simply cannot say enough about them! 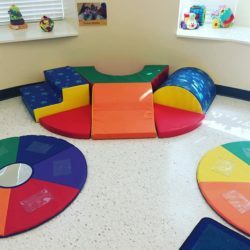 Additionally, a member of our leadership team is always on site to ensure the appropriate operations of the school and that our families always have a supervisor available to them. We invite you to come learn more about the services we offer through a personal tour of the facility. For your convenience, tours are offered M-F 7am-6:30pm. We look forward to showing you our difference!